Good morning and welcome to November, officially deep into Autumn and full-on winter coat and central heating on weather. So how was your Halloween? We had a great time at my cousin’s house, where we had a surprise party for my auntie’s birthday. 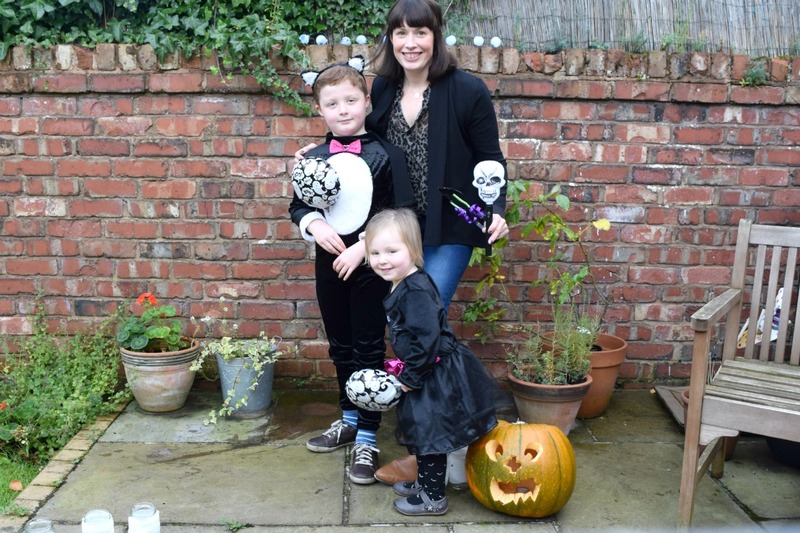 It was really good to see everyone and we still managed to get some trick or treating in between the glasses of bubbly and birthday cake, so everyone was happy. I wonder if my two will have a lie-in tomorrow after all the excitement of last night? No, I don’t think so either! Today is the last day of half term and I have really enjoyed it I have to say. Of course there have been moments where I’ve just wanted a few minute’s peace and quiet and it hasn’t been there, but generally we have really made the most of our time off together and all got on very well. I think it’s a nice holiday to make the most of without having too many plans, as from here on in it’s the build up to Christmas and things start getting pretty busy don’t they? Now that’s something I don’t really want to be thinking about if I’m honest. It’s so hard to believe that this time last year we had Rog here and thought things were on the up, we had such a busy half term and looking back I’m glad because we really did make the most of it. 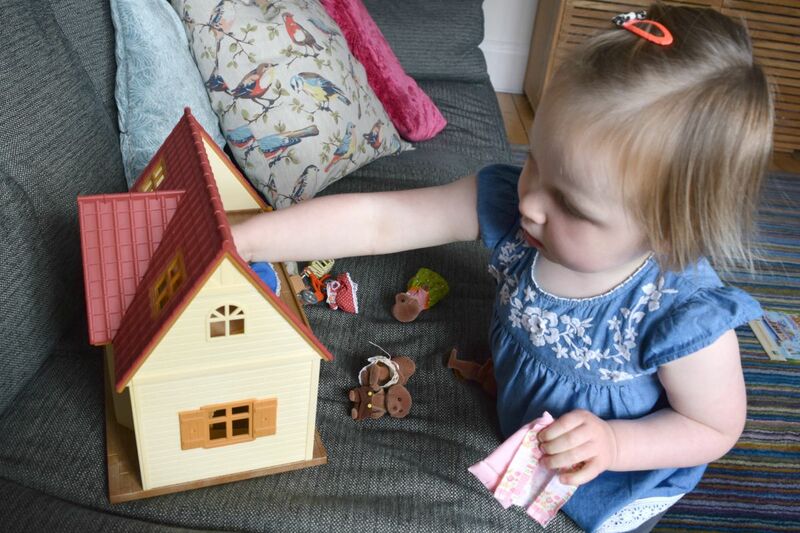 This time we had a few days away in the Lakes, and I’ll be writing a bit more about that this week, but I did post a bit about our trip to the gorgeous World of Beatrix Potter in Bowness. 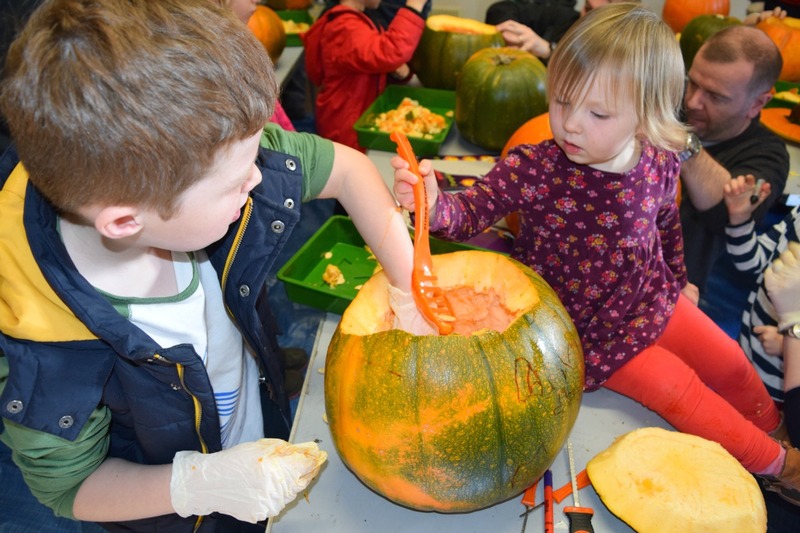 For now, I’m sharing some of the photos I took of Sam and Florence carving a massive pumpkin last week when we visited Wray Castle. It looks amazing but honestly was so big I swear it weighed more than Flo! 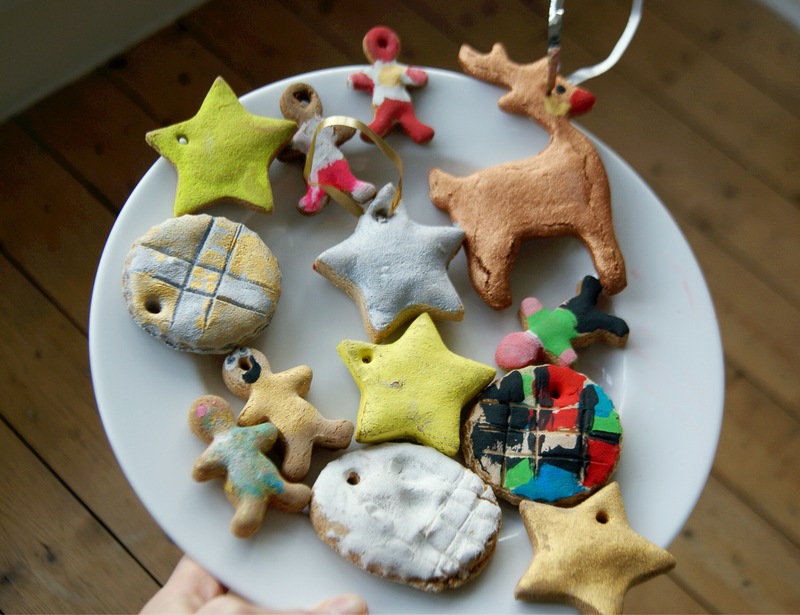 For now it’s my turn to host the Sunday Stars blog linky with Katie from Mami 2 Five. It’s a place for bloggers to join up their favourite post of the week and read and comment on a few others. 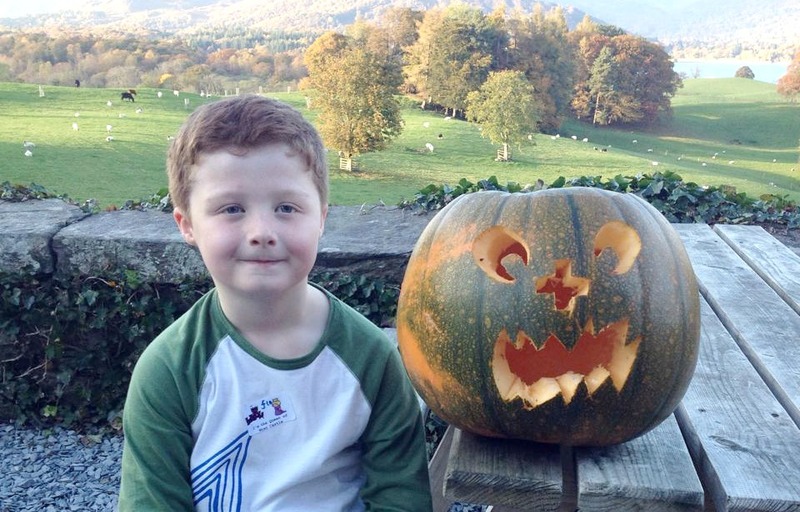 You can add your link on this page or over at Katie’s blog from today until Wednesday. 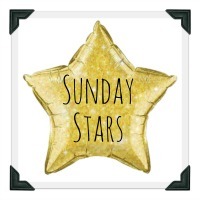 Sunday Stars is hosted on rotation by several bloggers so the best thing to do if you want to join in is follow the @SundaysStars account on Twitter to see where to link up each week. 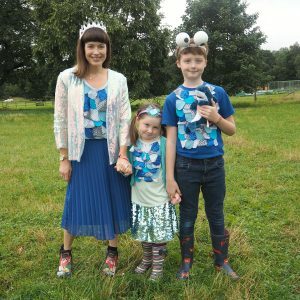 Jess picked this post – Turning 33 and having an identity crisis – from Lisa at Mummascribbles as her star post, as so many people will be able to relate to it. Karen went for this one – Siblings are awful but awesome and you’re probably lucky to have one – by the Ridiculous Mrs H. Please do check them out if you have chance! Link up just one post old or new, anything that you are really proud of and want to share. Share the love – try and comment on two to three other posts, including the one before your own. It would be nice if you commented on one of the host’s posts too! The linky will close at 11.55pm on Wednesday night. Mackenzie Glanville recently posted…Can you find happiness? Such a beautiful part of the country and looks like you all had the right balance of rest and play. And you came away with an added bonus of a lifetime’s supply of pumpkin soup! 🙂 Thanks for hosting.